Syled soft and romantic in a vintage 1940's feel - Dooley Street Styling again show us to expect the unexpected when glamour meets nature. 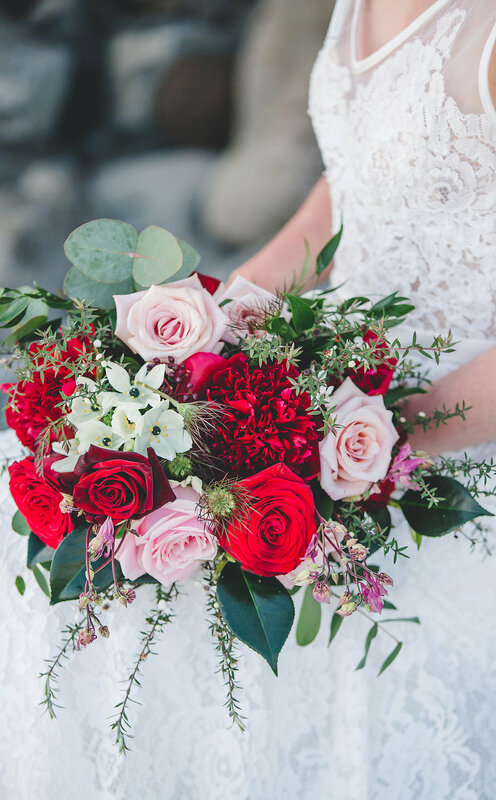 The floral arrangements were carefully selected for their deep and sensual hues, juxtaposed beautifully against the stone-faced greys of the rocky West-cast beach: Roses, Red Peonies, Eucalyptus and Manuka make for a wistful bouquet of old-meets new-school-romantic. 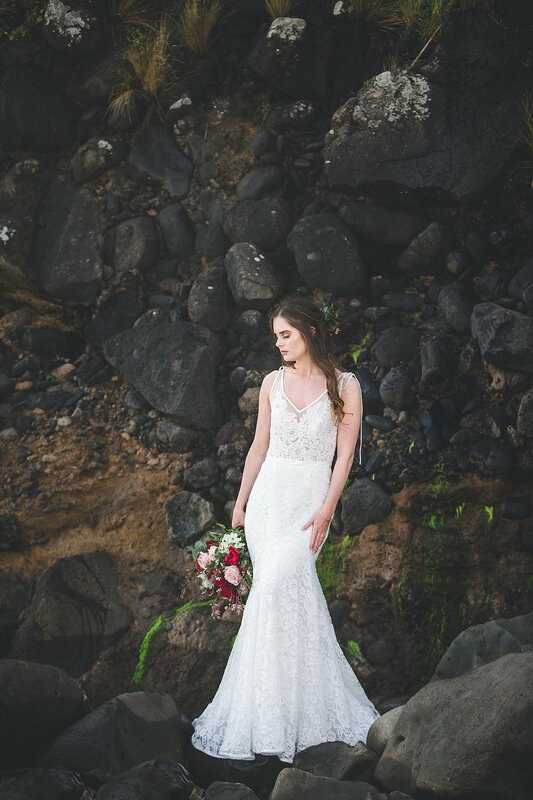 Lush lips, full lashes, and dewy glowing skin as if invigorated by the sea-spray itself - our bride achieves a sensual boho chic with tousled flowing locks. Would you like to submit a styled shoot or real wedding for us to feature? WE would love to hear from you - Tell us all about it here.